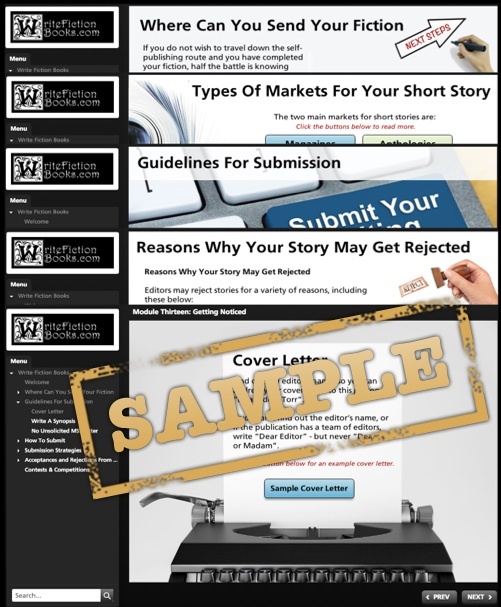 Interactive training modules for aspiring fiction writers. 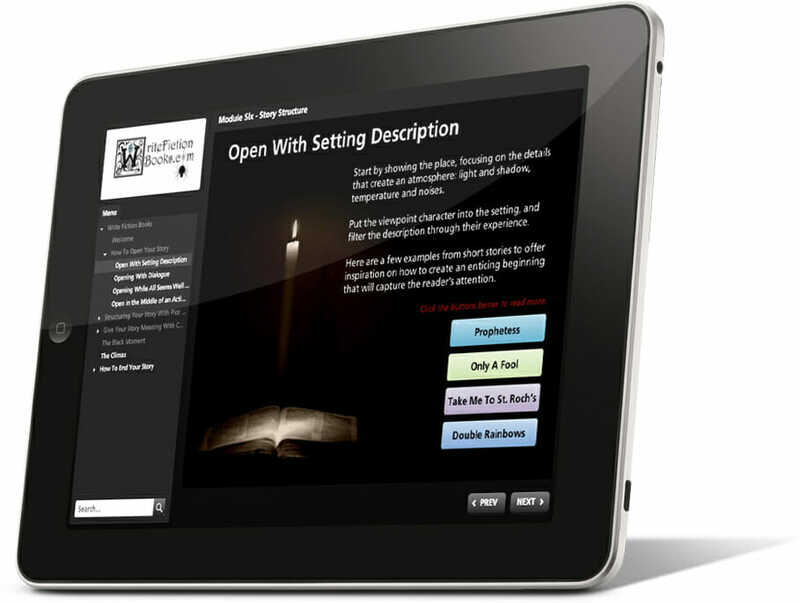 Write Fiction Books consists of 14 interactive, and engaging training modules delivered securely from our Advanced eLearn Platform. 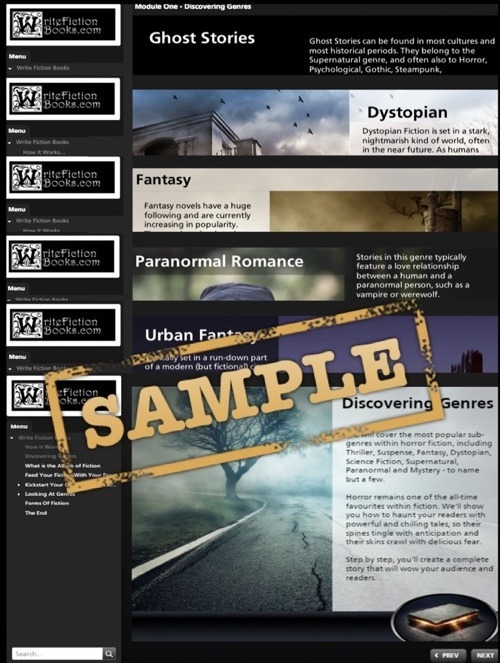 Each module has been carefully constructed by an expert team of authors, editors and award-winning professionals to help aspiring fiction writers transform their ideas and blank pages into compelling fiction. Module One has been tailored to be the perfect start to your creative journey. 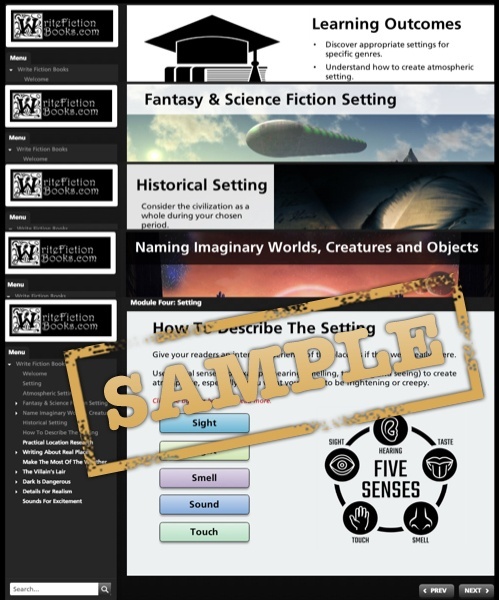 This packed module is filled with practical action points; you’ll discover what genre is best for your taste and style, as well as what forms of fiction are available to let loose your imagination and much more. 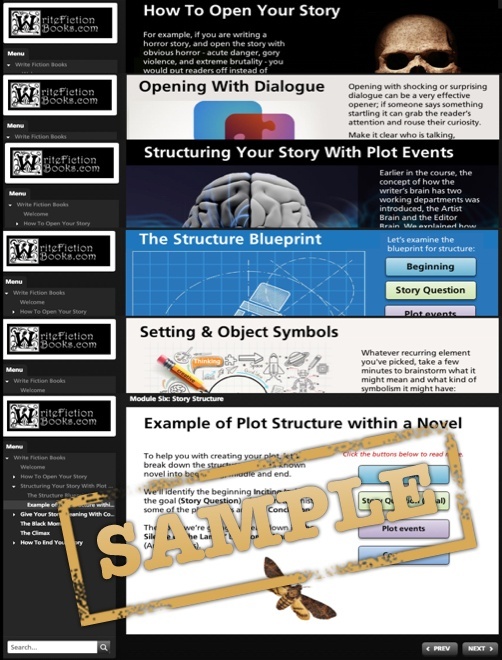 In this packed module, you’ll transform your raw ideas into original plots. 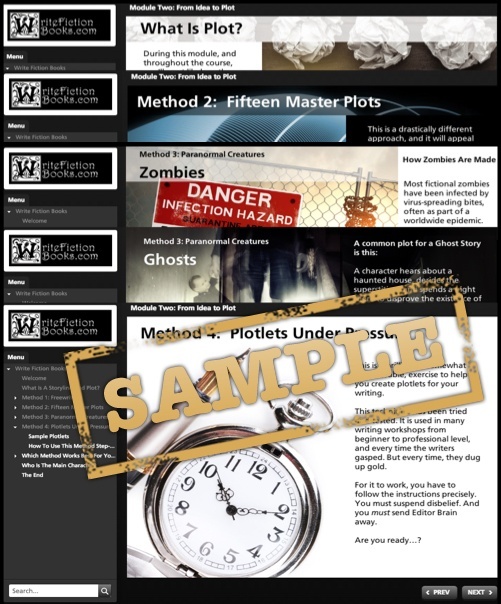 If you’re struggling for inspiration then you can use our fifteen master plot outlines to get started. 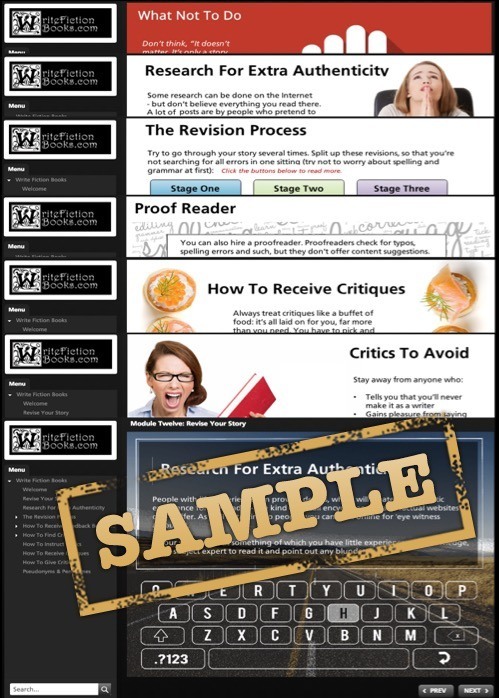 With a range of writing methods revealed, you’re sure to find the perfect one that suits you. Which writing method works for you? Delve deep into the world of villains, and discover how to make them convincing and memorable by studying different archetypes and psychological profiles. Watch out for tired clichés and find out how not to fall into their trap. Discover how to create a spectacular setting for a plethora of genres. Learn to bring it all to life with the use of alluring sounds and pinpoint description, and most importantly – practical location research. 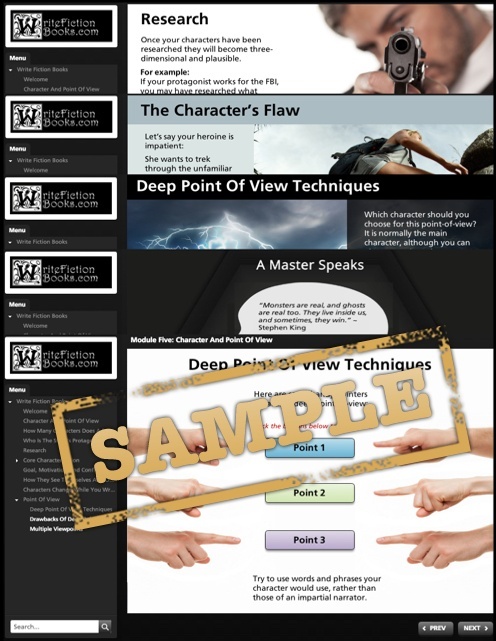 Uncover the secrets to create unforgettable characters and clear up any confusion with viewpoints, using our detailed outlines that range from the first person to the third. How many characters does a story need? In this packed module, you’ll find out multiple ways to start your story and if you’re stuck for an ending, use our tried-and-tested ending examples. Also, discover how to decipher symbolism, and add themes to your writing. 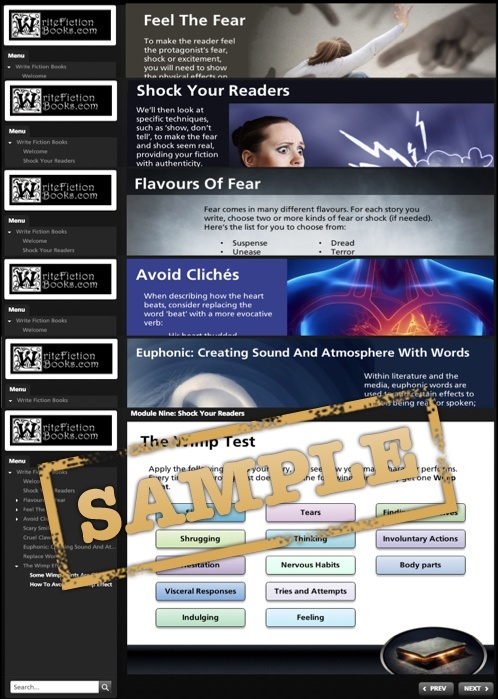 Become a master of suspense by using our thrilling effects that will leave your readers wanting more. 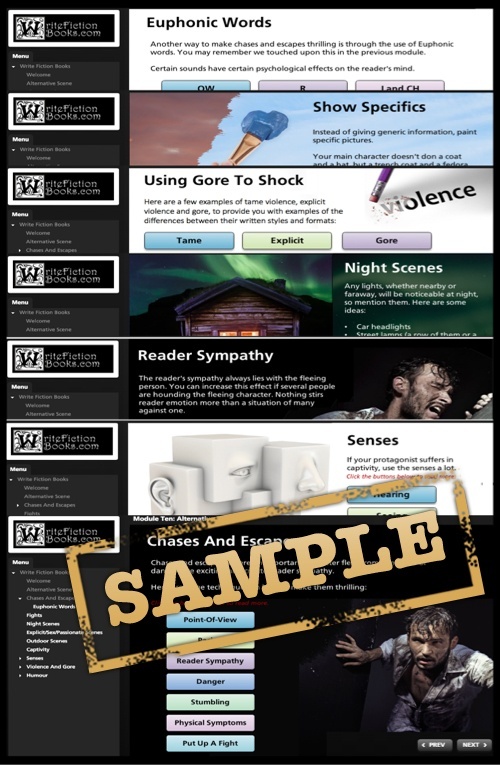 This module discusses all types of suspense for a range of horror and subgenres. 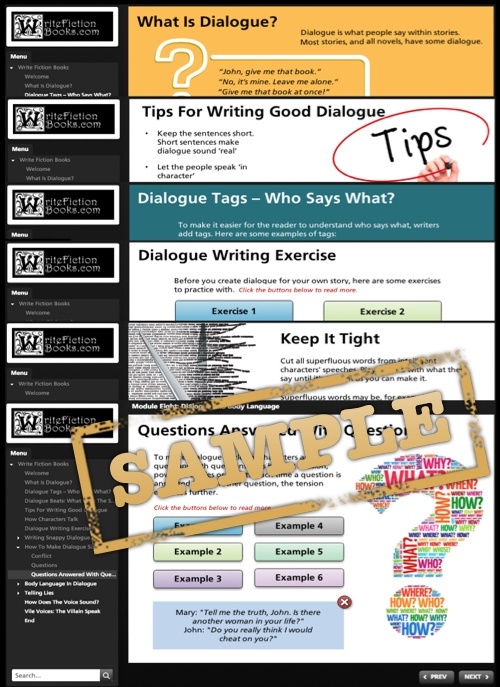 Learn to create dynamic dialogue with the help of ‘Dialogue Writing Exercises’, which will guide you to producing charismatic chatter between your characters. Slip in some action to bring the conversation alive, by studying specific body language techniques. How does the voice sound? Discover how to make your readers gasp in shock and tremble with fear, by studying numerous levels of fear, suspense, and how to vary the intensity. Learn one of the most significant tips in fiction writing, ‘Show, don’t tell’, that will renovate your writing style. In this action packed module, you’ll learn how to pack-a-punch in your fight scenes and pick-up-the-pace in your chase scenes. You’ll be studying how to craft specific scenes with a range of professional techniques. Uncover how to craft and perfect your author voice to make your writing noticeable with the use of practice exercises, metaphors, and verbs. Learn mistakes and beginner flags to avoid, to help save you time. Learn how to revise your writing into a perfect piece of fiction. 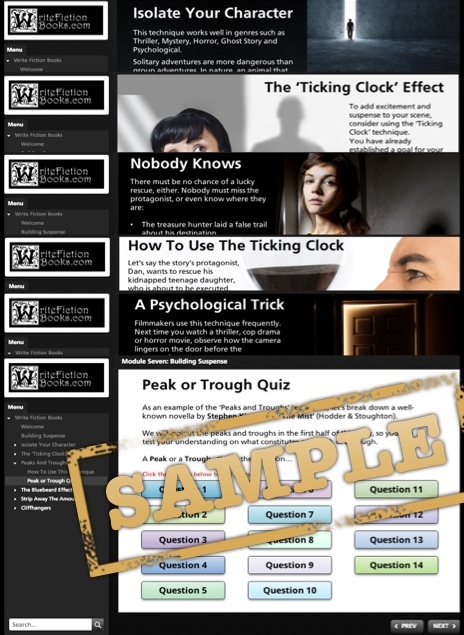 After completing your story the hard work doesn’t stop there, but completing this module will make the revision task easier and save time. Find out how to get your writing noticed, whether that’s by literary agents, publishers, or competitions. Use examples of a cover letter, synopsis, and manuscript to help you look like a professional from the off! Where can you send your fiction? Becoming a successful author is no easy feat, so we’ve packed this module full of insider information. 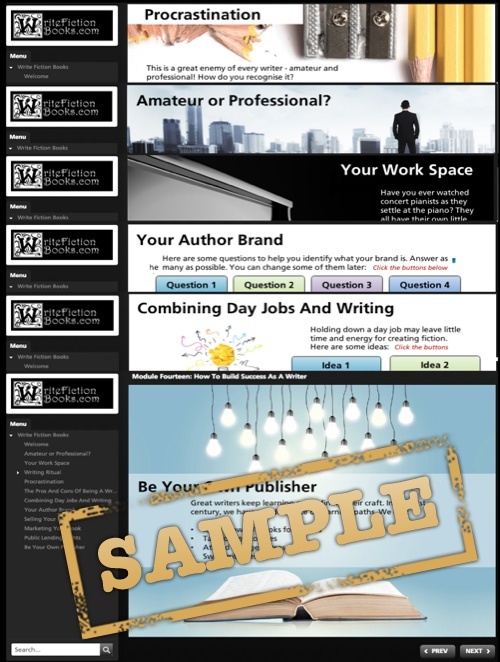 There are also loads of handy hints for marketing yourself and your writing. 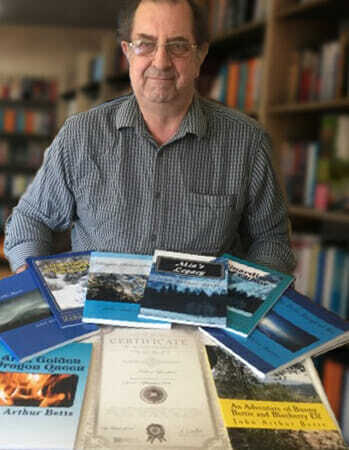 “I medically retired aged 64 when I decided to fulfil my ambition of getting published. The first course I found was Write Story Books for Children, I then moved onto the Write Fiction Books course which I have now completed. 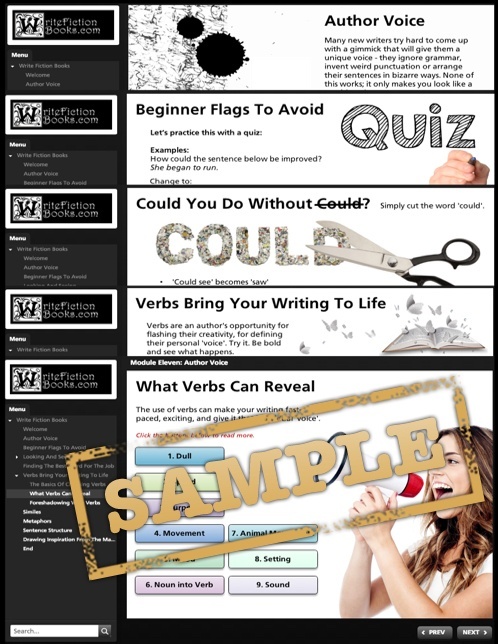 I would recommend these courses to all writers’ whether new or established. I had already written and self-published some fiction, but wanted to improve my writing and publishing skills. Your courses are informative, detailed, at an affordable price and have all the extra assistance and literature that any student may need. I feel that my writing is now “tighter” and I have the confidence to edit my own works. Published :- Aria, Golden Dragon Queen, Death of the Queen, Dragon Riders Return, The Twin Rings of Ra, Mia’s Legacy, Christmas and the Snow Dragon, Guardians of Elthor and An Adventure of Bunnie Bertie and Blueberry Elf.